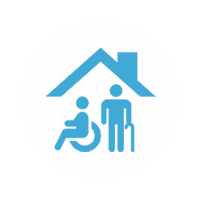 These are residential homes licensed to care for up to six non-related residents. The level of care each home provides will vary. – In the Puget Sound alone there are more than 4500 AFH’s. – Generally, there are two kinds of AFH’s: Houses that were remodeled to meet the licensing criteria to become AFH’s. Houses that were built specifically to be AFH’s. Those tend to be bigger, larger hallways – dining area – rooms – shower rooms, most rooms have a private bathroom, social/activities rooms, etc. Overall more square footage. A1 Senior Care Advisors are able to connect you and your family with the best and most appropriate Adult Family Homes Services that will meet your particular needs. For a free assessment, call Now 425-324-5592 or email us at A1CareAdvisors@gmail.com.